The book of Hebrews is a fascinating extended sermon which has nurtured and challenged the church for centuries. It stands in tension with our sensibilities but provides guidance for the church's life and for individual Christians. In this theological commentary, D. Stephen Long explores this captivating book. He finds Hebrews extremely relevant for today since it integrates doctrine, ethics, and politics while helping faithful Christians find their ways through troubled times. It invites us into a robust world beyond the assumptions of today's scientific worldviews. Hebrews also helps us understand how to read Scripture after the triumph of Jesus Christ. 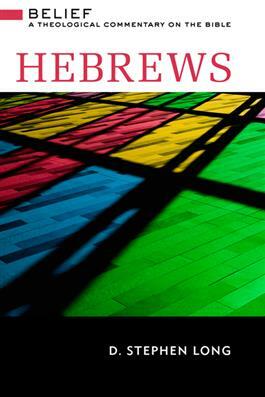 Long's expert theological guidance helps us understand Hebrews and hear its message for our contemporary world.